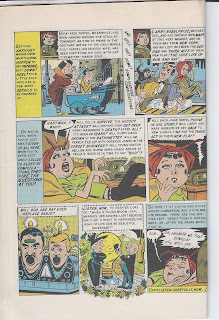 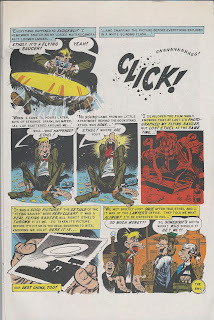 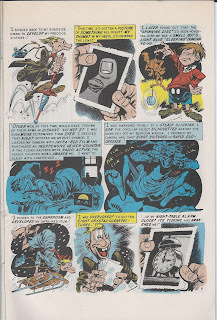 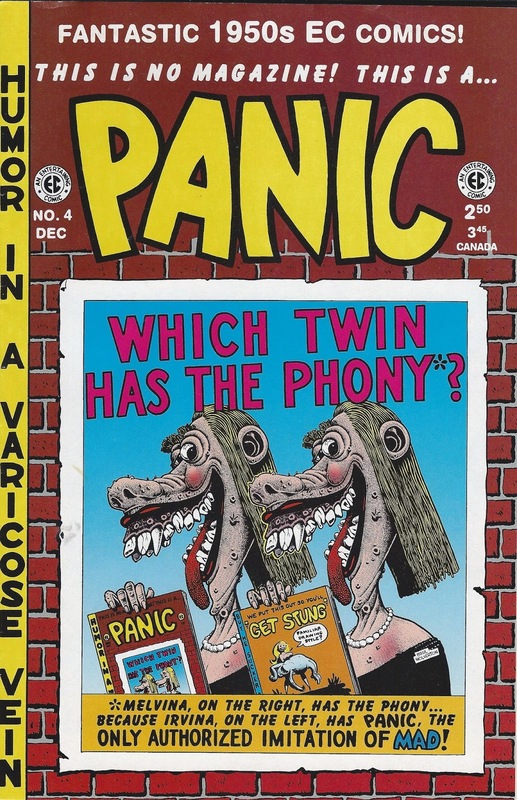 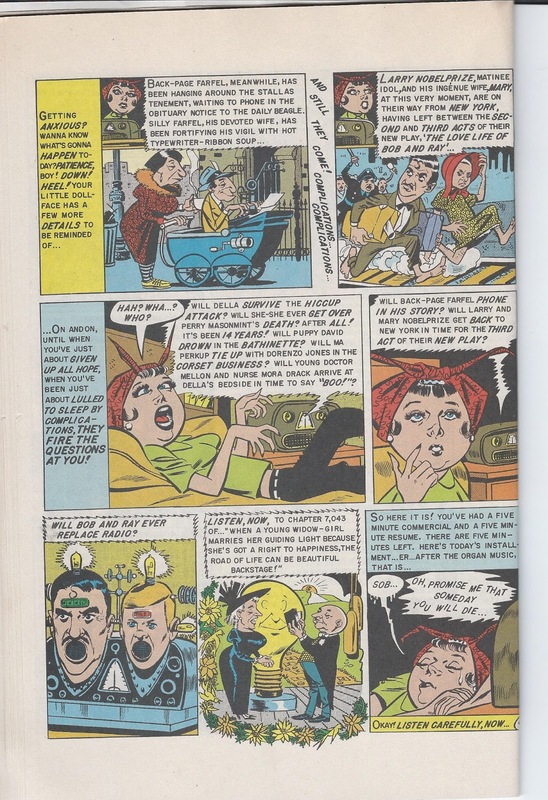 As you may know, if you have read/looked at many of Chicken-fat's SUNDAY FUNNIES, that PANIC comicbook is a sister to MAD comicbook. 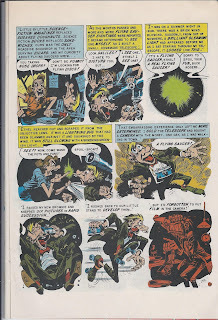 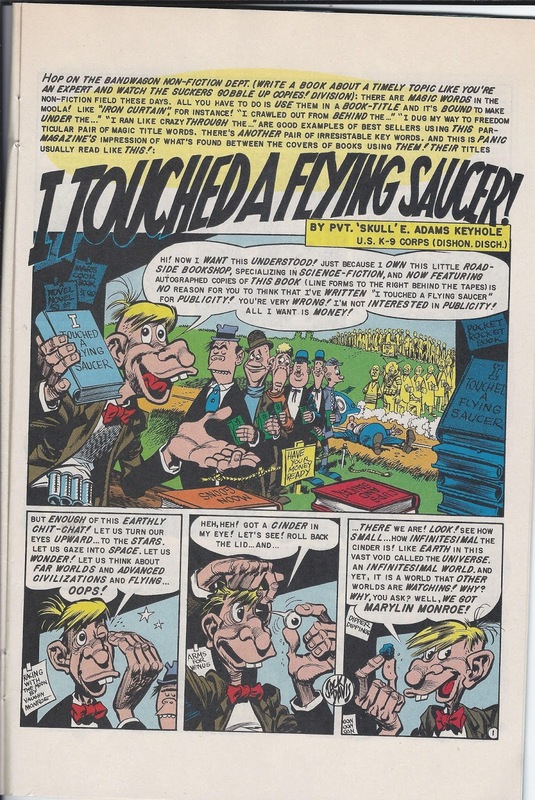 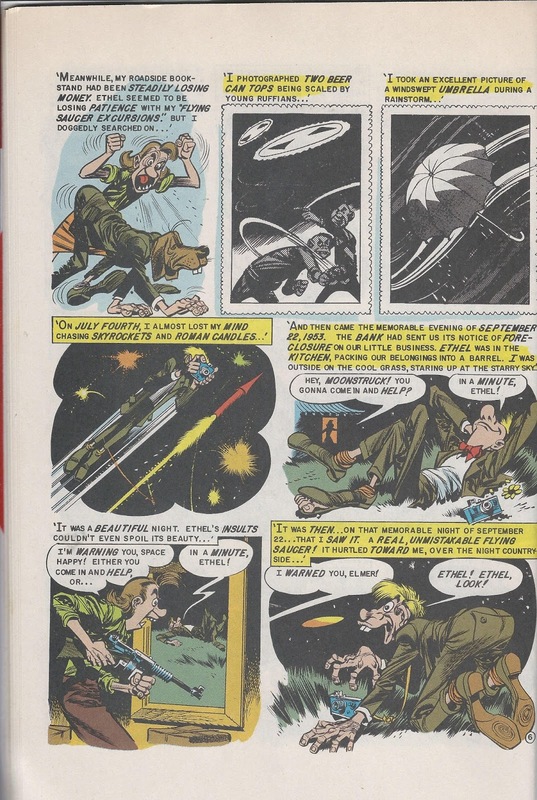 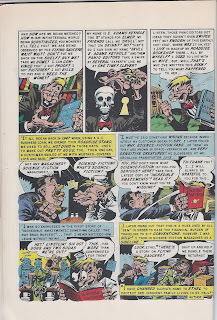 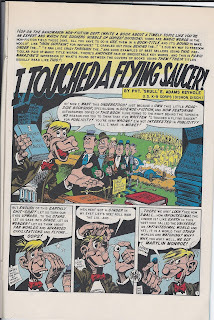 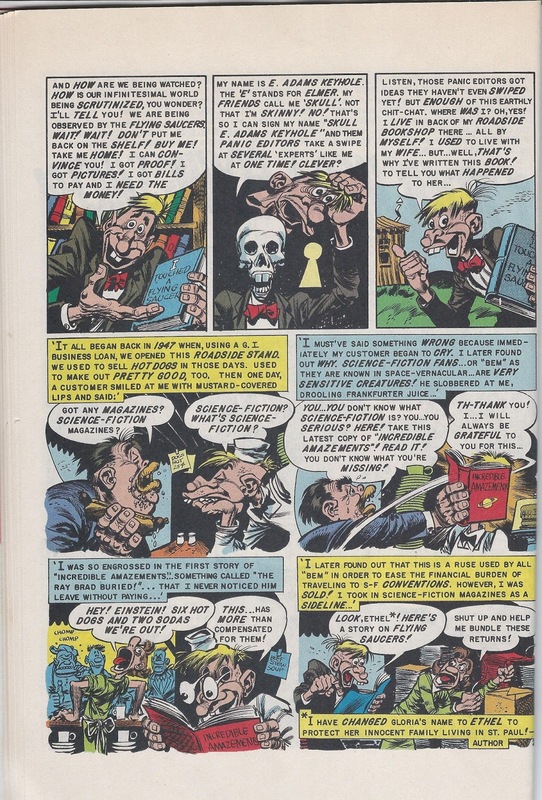 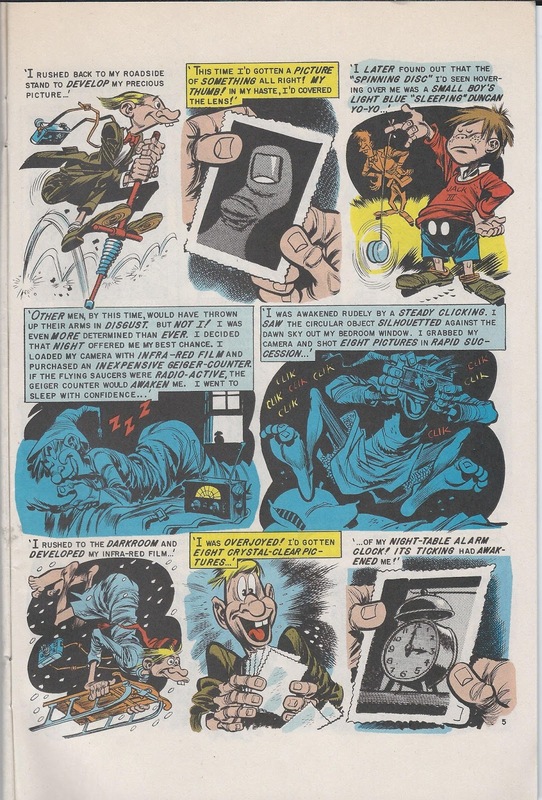 That is to say that they both belonged to the same publisher and were by the same artists, such as Jack Davis, who illustrated this one. 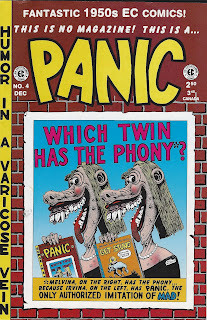 The cover was illustrated was by Basil Wolverton..
Be sure to click on each illustration to be able to read the balloons.